Home lighting automation is easier than ever. As more consumers choose to automate features within their homes, the technology for smart features continues to improve. Whether you want a headache-free solution to your home’s lighting, or you’re looking for something a bit more complex, there’s an option for you. Automated lights have been around in one form or another since the 1980s, when “The Clapper” was invented. Growing more popular during the ’90s the clap-on, clap-off device shows how many Americans were seemingly tired of light switches, even then. These days, there are far more options. Everything from simple plug-in devices that you can control via remote (or your phone or computer) to complex home automation lighting solutions are often part of sophisticated smart home setups. An excellent Wi-Fi-based hub can control your entire home, not just your lights! With plug-in devices, smart bulbs, and networking options like the Insteon Hub, the sheer choice can feel intimidating for average consumers. Luckily, a closer look reveals that home lighting automation isn’t that hard, and many options offer pretty similar solutions in the end. When deciding how to go about automating your home’s lighting systems, the first thing to decide is what kind of lights you want. If you want a dimming system, for example, many light bulbs will not be compatible. The majority of CFL and LED bulbs are not compatible with dimmers and correct bulbs for your home lighting automation setup. The second thing to decide is how you want to control your lights. Depending on how you choose to manage your lighting system, different options will be available. 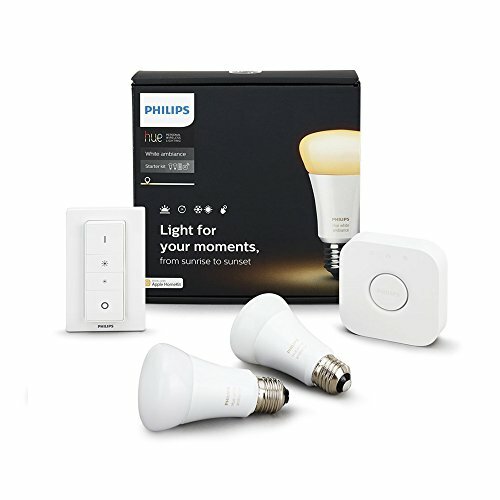 Perhaps the simplest type of home lighting automation involves what are called “plug-in devices.” Plug-in devices go between the power cord of a lamp and the wall. Leaving the lamp in the “on” position allows the plug-in device to control the power to the lamp. Communicating remotely with the plug-in device enables you to automate a standard lamp. Unfortunately, this type of device will not work for built-in lighting. It’s also necessary to connect plug-in devices to a controlling device. Micromodules a remote control or Wi-Fi enabled device. Once you’ve got plug-in devices controlling the lamps in your home, it’s necessary to make them easily controllable. That’s where hubs such as the Insteon Hub come in. 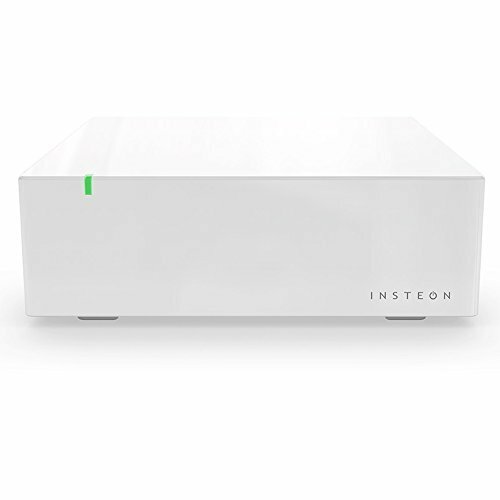 The Insteon Hub acts as a bridge between your other smart devices and your phone, streamlining control. It can control lights and even appliances remotely, and allow you to set schedules or configure options within your devices. With the Insteon Hub, it’s possible to control all aspects of your home’s lighting from anywhere in the world, provided you have an internet connection. You can do this on most smartphones or tablets. 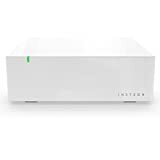 The Insteon Hub also connects to security cameras, thermostats, door and window sensors, smoke detectors and more. Combining smart devices allows for far more than just home lighting automation. 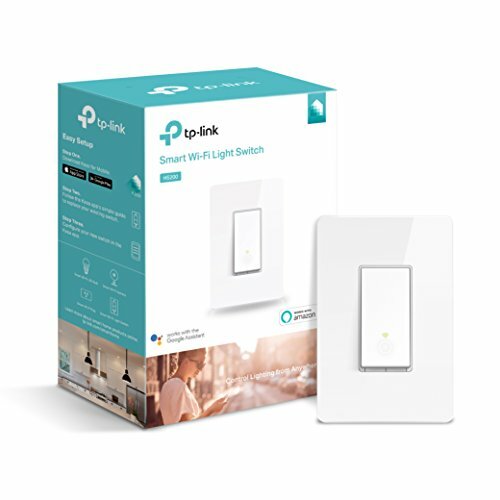 Wi-Fi light switches are one of the most common simple solutions to home lighting automation. They’re also reasonably cheap, although the cheapness of installation can be dependent upon your ability to do basic electrical work yourself. Most Wi-Fi light switches replace a switch in your home, rather than just plugging into the wall. That means you’ll need to be able to turn off power to that circuit, as well as the know-how to remove the other light switch and replace it with your new smart switch. If you’re unable to do that, it will be necessary to have an electrician install your device, which can raise the cost. Typical installation time is around 20 minutes. Generally controllable through a smartphone, these devices allow you to use an app to control your lights. Some allow voice control or other features. Importantly, some do not work with any bulbs/devices except those of the same brand. Be sure that your home lighting automation system is compatible. If you have light bulbs which are compatible with dimming, you should get a device that supports dimming. Otherwise, a basic on-off option should suffice. Some Wi-Fi light switches can operate as hubs for all of the smart lights in your home, while other options simply control a room. Some also have a “geofence” feature. That means they know when you’re home and can enable preset options. Want your home to turn on the lights for you as you arrive? No problem! Wi-Fi light switches have a couple of advantages over smart bulbs (which you can also control via phone) when it comes to home automation lighting. First, cost. It may be cheaper to replace switches with smart switches rather than replacing every bulb in your home with a smart bulb. Second, Wi-Fi light switches work with built-in lights, allowing you to automate numerous lights at a time. For any room with more than a couple of light bulbs, such as your kitchen or living room, they’re perfect. Wi-Fi-enabled light switches are only the beginning of home lighting automation. There are also wire-in outlets, which essentially turn any outlet into a plug-in smart device. Anything that plugs into that outlet can have the power controlled via an app. Another option is a multi-device controlling switch. These typically have one button dedicated to the original function of a switch (say, your entryway light), but the rest of the buttons control anything you want. There are special controlling devices just for ceiling fans and the attached lights. And if you really don’t want to, you don’t have to replace existing switches at all. Micromodules such as the Insteon Remote Control Micro Dimmer Switch Adapter can turn any switch into an automated switch, although you will almost certainly need the aid of an electrician. As the Internet of Things continues to expand, it’s easier than ever to automate your home. With decades of development behind lighting options, there’s more choice than ever. Many home lighting automation systems are relatively easy to set up yourself. If you want a sci-fi-style smart home that does whatever you want at the touch of a button or according to a schedule, it may be best to enlist the aid of an electrician. Whether you want smart bulbs, plug-in devices, a complex wire-in network, or some combination of them all, you can be sure there’s an option out there for you.